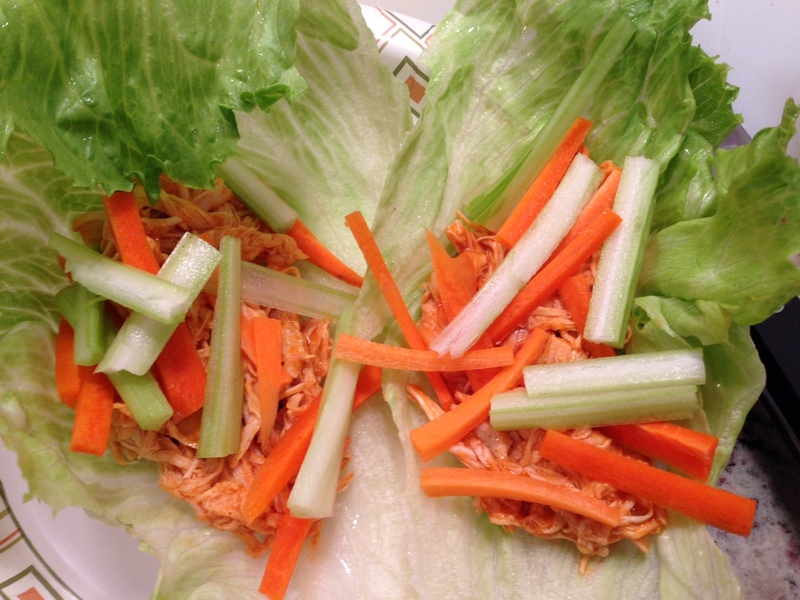 Back in the Weight Watchers days, I made this Crock Pot Buffalo Chicken recipe I found on Skinnytaste.com. Now that I am having to watch my carbs again thanks to gestational diabetes (who am I kidding? I will always have to watch those dang carbs given my history), I figured I might as well revisit some of my favorite Weight Watchers recipes. Look, if I can wrap something in a lettuce leaf, then I’m safe — both from the diabetes perspective AND from the undoing the damage I did in the first trimester perspective. 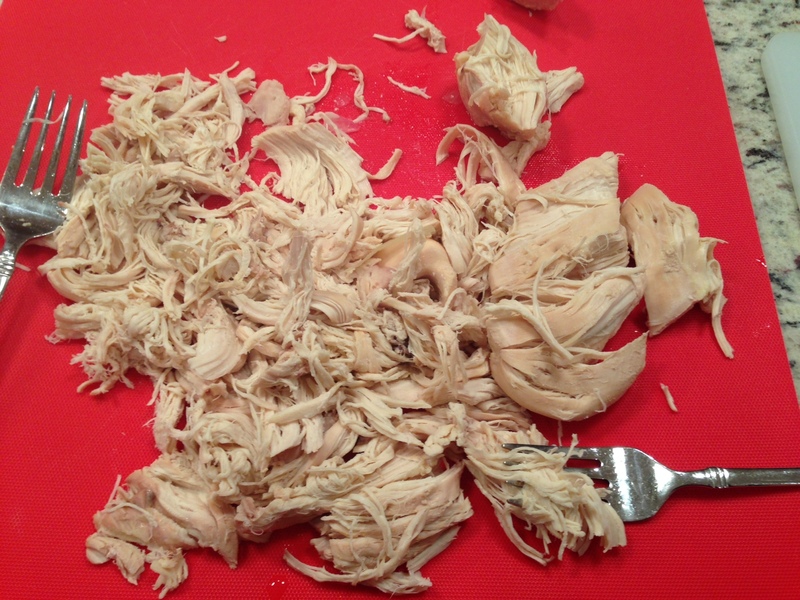 I like this recipe for a number of reasons: 1) Cooking the chicken in the Crock Pot actually works for many recipes (chicken salads, bbq, etc) and in my opinion it gives the chicken much more flavor than if you were to boil/microwave it. 2) It is super filling. 3) The hot wing sauce makes you think for a split second that you are eating wings when obviously you are not. 4) It has the perfect balance of flavors and crunch — hot wing sauce, cool, creamy ranch or blue cheese dressing, and the crunch from the lettuce leaf, carrots, and celery. I’ll go ahead and warn you that it gets a little messy, but it is totally worth it. You can easily add this exact mixture to a pita or wrap if some family members are hesitant about the lettuce leaf. And here it is in the wrap! 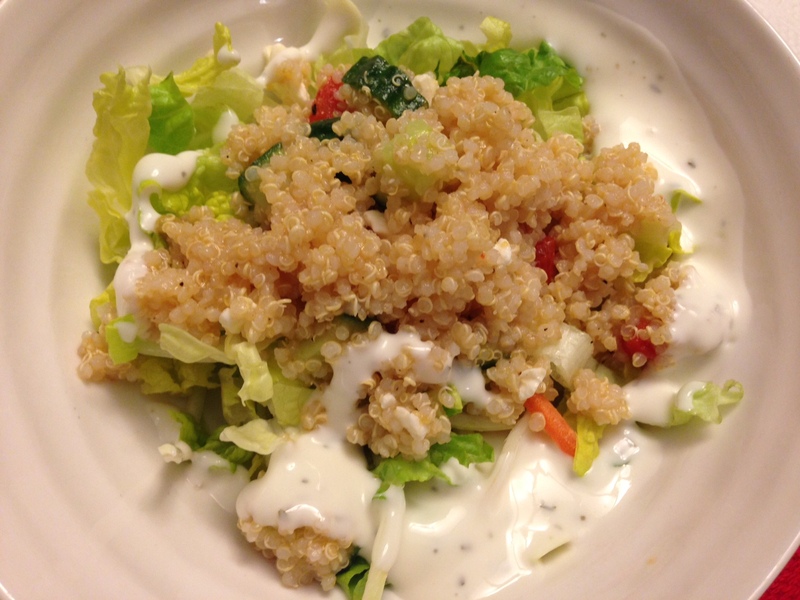 I paired mine with the quinoa salad I mentioned in an earlier post. I added some lettuce and Bolthouse Farms Classic Ranch Yogurt Dressing.